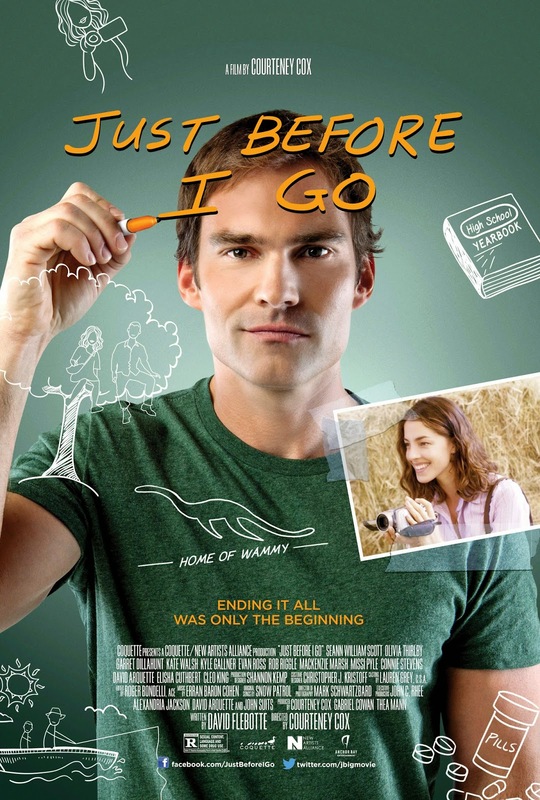 Just Before I Go is a comedy about a suicidal man who wants to settle some unfinished business in his hometown before he kills himself. 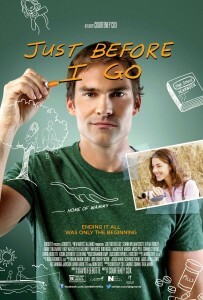 It was written by David Flebotte and directed by Courteney Cox. The film was shot in July and August 2013 and opened in theatres in a limited release on April 24, 2015. It will be available on DVD, Blu-ray and VOD on May 12, 2015.